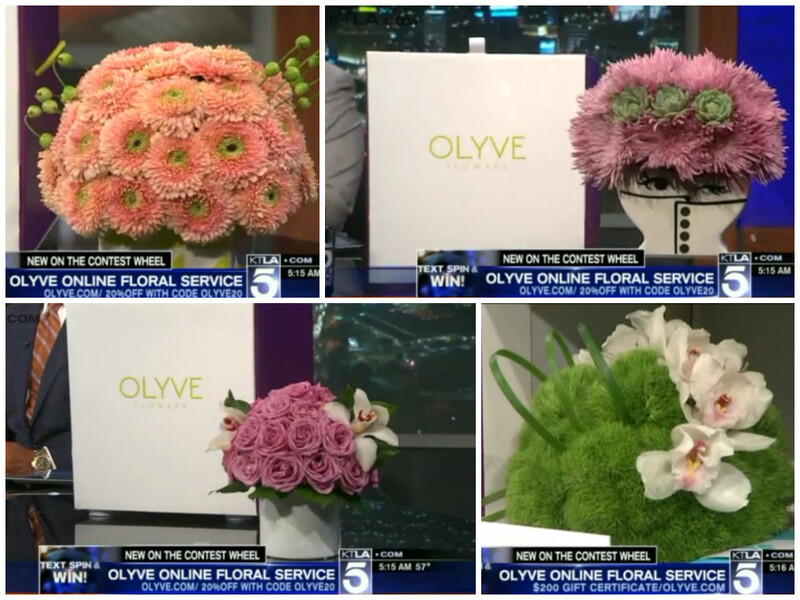 Congratulations to our Client Olyve for their feature on KTLA 5 News! Olyve uses only the most vibrant, high-quality flowers. Their classic yet modern arrangements offer simple elegance that is sure to stand out in any room. Make a statement with a unique vase designed by the Olyve team themselves, that adds a pop of fun and color to all those pretty petals. All of Olyve’s arrangements travel in style in a signature gift box designed to protect and WOW once they reach the recipient’s doorstep. Can’t be there when they receive the gift? Simply record a video message or picture and Olyve will make sure it arrives with the bouquet, making the surprise even sweeter! KTLA included beautiful Olyve bouquets as part of their Mother’s Day Spin and Win Contest. Olyve is also offering a special Mother’s Day discount. Enter Olyve20 for 20% off. Find out more at olyve.com!